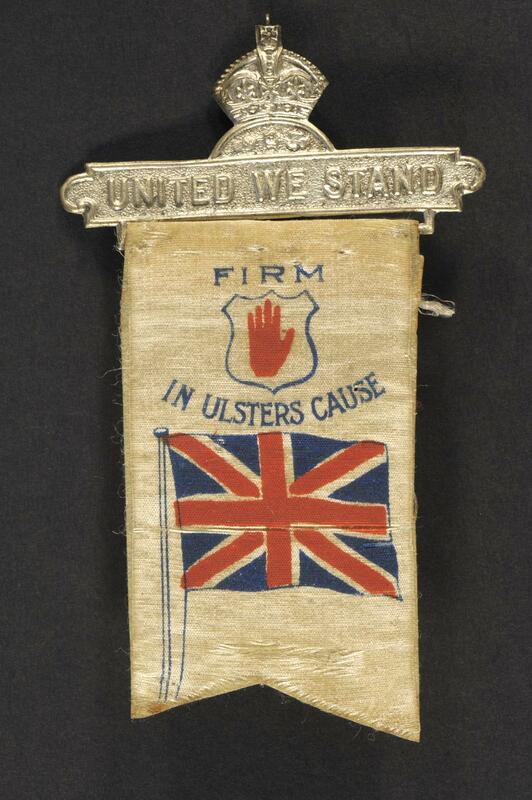 Pin badge 'Firm in Ulster's Cause.' Badge associated with the Ulster Women’s Unionist Council, founded January 1911. By 1913, with over 100,000 members, it had become the largest female political group in Ireland (up to that point in time). Membership in UWUC was a first taste of political involvement for many women. Their activities included fundraising, electioneering, and distributing propaganda in Ireland, England and Scotland, as anti-Home Rule ‘missionaries’.